Our favourite summer topic: BBQ! As soon as the weather is nice, the barbeque grills start smoking – frequently more than they should. This is almost always attended by a guilty conscience: That black stuff there – isn’t it better if we cut that off? Shouldn’t we really throw out that piece of meat that got so dark? Can we get cancer from charred food? Don’t panic! 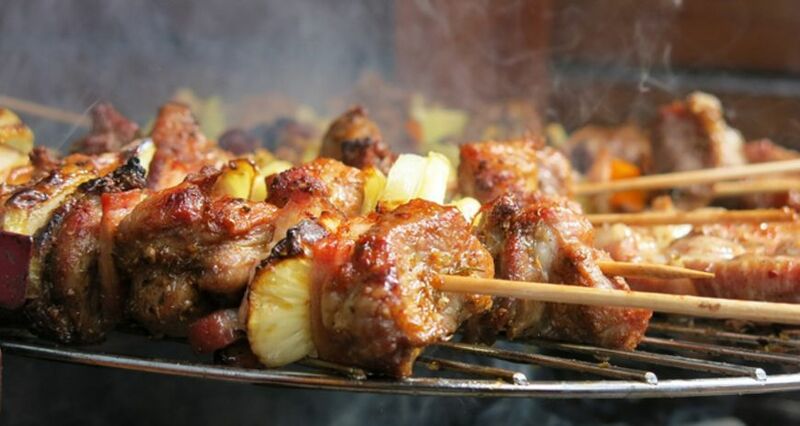 Even if the men tend to take charge behind the grill – many women as well are hooked on the aroma of roasted and barbequed delights, as can only be achieved with a grill. But there are undesirable bi-products that emerge while barbequing – as is the case for all roasting and frying processes – in the crust of meat and fish, as well as vegetables, cheese, fruit and tofu. These are substances with cumbersome names that could be damaging to our health: heterocyclic aromatic amines (HAA) and polycyclic aromatic hydrocarbons (PAH). PAH arise primarily from the addition of oil marinades and/or from grilling meat with high fat content. When fat drips down into the red-hot coals, the high temperatures disintegrate it and PAH are formed that ascend with the smoke, subsequently covering the barbequed food. “It is better to use emulsion marinades instead of oil marinades when grilling”, advises Wolfgang Jira from the Max Rubner-Institut – Bundesforschungsinstitut für Ernährung und Lebensmittel in Kulmbach. This kind of marinade is characterised by the fact that the oil content is very finely mixed with the water content and herbal ingredients – thus, there are no “thick” oil drops that fall into the embers. The scientist also notes that: “There is a tendency while grilling with gas and electric grill that fewer heat-induced harmful substances appear when compared to barbequing with coal, from which small particles rise along with the smoke.” Coal barbeques with embers arranged along the side also scarcely contaminate the food being grilled with PAH.